Today, we feature stellar wine that highlights some of the best of Zinfandel, and that is the Kunde Family Estate Zinfandel. One thing I love about Kunde is that they own all of their vineyard land – that means they have complete control. The 2006 Zinfandel showcases exactly why Sonoma Valley is an ideal place for the grape, and the complexity it can gain with a few years of age. So with that, let us give you a little history of Zinfandel! Zinfandel is often touted as the ideal grape for 4th of July BBQs and even Thanksgiving dinner as it is the quintessential “California” grape. So how did a grape variety from Croatia come to be known as the “California Varietal?” Wine grape historians (not their technical name but we’ll call them that) traced the variety back to the 1820s, when it was imported from an Austrian nursery and found a home somewhere on the east coast of the US. 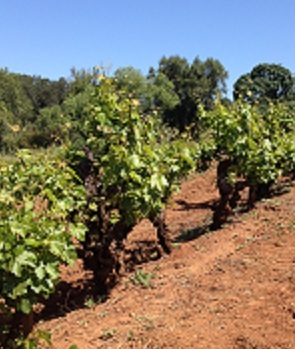 About the time of the Gold Rush in the mid-1800s, Zinfandel found its way to the west coast. By the late 1800s was the “it” grape, partly due to its productivity and sturdy constitution. Even during prohibition, Zinfandel remained popular for home winemakers, which is one reason you see such very old Zinfandel vines. In the 1960s, researchers recognized that Zinfandel and Primitivo contained the same “grape” DNA. Then in 2001, researchers did some “fingerprinting” on a few old vines in Croatia. Turns out that Zinfandel is a version of an ancient grape called “Crljenak Kaštelanski.” And yet, it is still known as the classic California grape. You may see some plantings in Australia and even Europe, but for the most part, Zinfandel has stayed true to its California base. And what about White Zinfandel? Zinfandel is a red grape – always has been – but in the 1960s and 70s, Americans preferred white wine. So in 1972, Bob Trinchero launched what turned out to be one of the largest successes in the wine business. Using free run Zinfandel juice, with a little added sweetness and occasionally some more aromatic white varieties, White Zinfandel skyrocketed in popularity and sales. The craze for this slightly sweet, lightly pink wine brought awareness to Zinfandel, even the original red kind. Advocates of the grape began to protect the vineyards, particularly the old vines from before prohibition. Depending on where it is grown, the age of the vines, and the methods of the winemaker, Zinfandel can vary in its flavor profile. It’s a sturdy grape, so its rare to find a “light-bodied” Zinfandel, but you’ll find a range of styles, from elegant to spicy to brawny to jammy. Typical characteristics include spice, jam, all sort of wild berry flavors, pepper, leather and sometimes a bit of oak notes. So we raise or glass to the American grape from Croatia – To Zinfandel!